Remember the Brics? When the concept was first launched by Goldman Sachs in 2001, it was a handy acronym to describe the world’s most dynamic emerging economies. 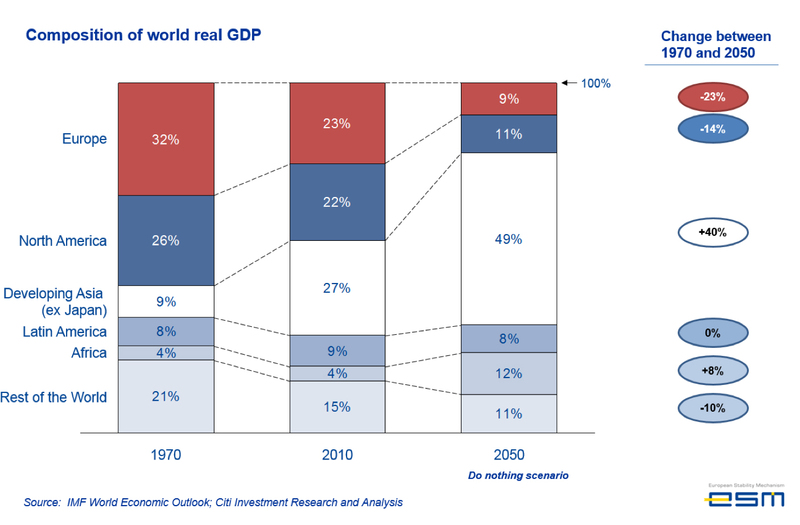 There were always sceptics who questioned just how much Brazil, Russia, India and China have in common. Those doubts only grew when South Africa joined the club. But it turns out that the Brics do have something in common after all — corruption. In all five countries, popular rage about graft is at the very heart of politics. And because these countries are increasingly important to the world economy, their corruption problems have global implications. Both Brazil and South Africa have seen presidents forced out of office by corruption scandals — with Jacob Zuma compelled to resign in South Africa this year, and Dilma Rousseff being impeached in Brazil in 2016. In Russia, the ruling United Russia party is widely known as the “party of crooks and thieves”. The rise to power of Narendra Modi was fuelled by his pledge to crack down on corruption among the elites. The Indian prime minister has since taken the drastic step of abolishing about 80 per cent of the country’s currency, in an effort to squash the black economy. In China, President Xi Jinping’s anti-corruption drive has seen more than 100,000 officials arrested. Meanwhile, Chinese exiles have spread online allegations that corruption extends into President Xi’s inner circle. High-profile corruption scandals are not confined to the Brics. This month Mariano Rajoy was forced to resign as prime minister of Spain after seven years in office, following a scandal in his political party. And last month Malaysia’s ruling party lost power for the first time since the 1950s — after allegations that the prime minister, Najib Razak, had embezzled vast sums. Corruption has always existed — and it has never been popular. But the frequency and political impact of corruption scandals seem to be growing all over the world. So has corruption become more common? Or has it simply become easier to expose? The answer seems to be that both things are happening simultaneously. The globalisation of business and finance opened up opportunities to make corrupt profits in fast-growing emerging economies. Industries that often need official involvement, such as natural resources and infrastructure, are particularly lucrative targets. There are contracts to be awarded and development projects that need official approval. And the money for bribes can always be deposited offshore. But such malpractice can be exposed. Strong, independent prosecutors and judges such as Brazil’s Sérgio Moro and South Africa’s Thulisile Madonsela have done heroic work in driving forward anti-corruption investigations. Press freedom in Brazil and South Africa has also been critical in keeping up the pressure on corrupt politicians. Even when the national media are muzzled, the internet provides an alternative medium for airing corruption allegations. The “Panama Papers”, which detailed the offshore financial affairs of many prominent politicians, was the result of an international journalistic project and based on hacked documents. New forms of international co-operation and transparency have also made would-be crooks more vulnerable to exposure. Changes in the Swiss laws on banking secrecy — made under pressure from the US — were crucial to allowing Brazilian prosecutors to uncover the proceeds of corruption. International investigations by the Swiss and Americans also kept up the pressure on Malaysia’s Mr Razak. But conquering corruption is not something that can be achieved with a single cathartic effort. Lasting progress requires strong institutions that can survive changes in the political climate; independent courts and prosecutors with training and resources; a press that cannot easily be bought off, jailed or killed; efficient civil servants who cannot be fired at the whim of a corrupt boss. Remove any of those elements and corruption seeps back into the system. Prosecutors in Brazil are haunted by the example of the “clean hands” investigations in Italy in the early 1990s. These swept away many powerful figures — and were seen as a watershed. But within a few years, Silvio Berlusconi, who epitomised shady business practices, had been elected prime minister. Searching for examples of lasting cultural change in the battle against corruption, Brazilian prosecutors have lighted upon the example of Hong Kong under British colonial rule and the establishment of an Independent Commission Against Corruption in 1974. Even that achievement may now be in doubt, with growing fears that the independence of Hong Kong’s institutions is being compromised by pressure from mainland China. The concerns over Hong Kong might give pause to those who interpret the eruption of scandals all over the world as evidence that the global battle against graft is being won. An alternative theory is that the growing economic power of countries such as China, India and Russia may be spreading corrupt practices more widely. The US, EU and UK pride themselves on their sound institutions. But western bankers, lawyers, real estate agents, PR firms (and perhaps even presidents) are often all too willing to share in the proceeds of corruption. When 630 people were rescued by a ship called the Aquarius off the coast of Libya last weekend, little did they know their plight would set off a series of events that would deepen the divisions in an already fractured Europe. Within less than a week of the migrants’ rescue, the German government appeared ever closer to collapse, and the French and Italian governments were engaged in a diplomatic spat. The story of the Aquarius will now become part of European history, another chapter in the migration saga that began with German Chancellor Angela Merkel’s open-door refugee policy in 2015 and whose end seems much further away today than it did just a week ago. 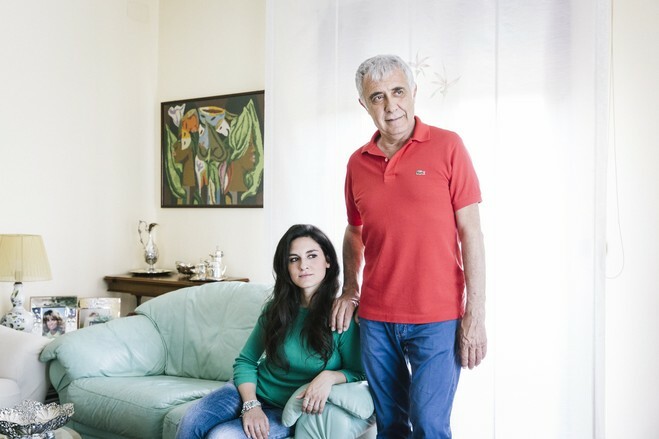 On June 11, with the Aquarius stranded off the Italian coast, Germany’s struggle over its own immigration policy was intensifying. Merkel rejected Interior Minister Horst Seehofer’s proposal to turn away at the border any refugee who had applied for asylum in another European country. Upon learning of Merkel’s decision, Seehofer canceled a presentation of his 63-point plan to deal with the migration problem scheduled for the following day. A spokeswoman for the German Interior Ministry downplayed the cancellation, explaining that some details simply needed to be ironed out, but she also declined to announce a new date for the presentation. On June 12, France entered the fray. French President Emmanuel Macron blasted the Italian government as irresponsible and cynical for blocking the Aquarius from Italian ports. 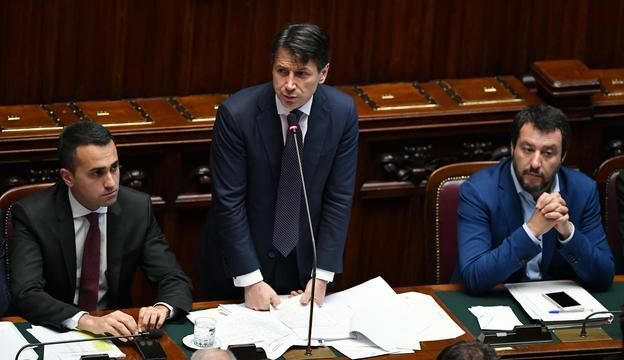 The Italian government responded the following day by canceling a meeting in Paris between the French and Italian economy ministers. Italy also summoned the French ambassador and demanded an apology from Macron. Italy’s new prime minister even called Macron’s stance “hypocritical” and decried French self-righteousness over an issue Italy has had to manage with little support from the EU. Meanwhile, the Aquarius set sail for Spain, which granted the ship permission to dock. On June 13, Seehofer declined to attend a summit in Berlin held by Merkel, and instead met with Austrian Chancellor Sebastian Kurz. Seehofer explained that the move was not a snub but rather had to do with the presence of a journalist who had compared him to the Nazis. But it was Kurz who stole the headlines on this day, as he called for an “axis of the willing against illegal migration” to be formed between Austria, Germany and Italy. Seehofer added that he had spoken to his Italian counterpart the previous day and that they were in “full agreement” over how to secure European borders. None of the men involved seemed concerned about the memories an axis involving Austria, Germany and Italy might dredge up. Meanwhile, Macron’s government attempted to patch things up with Italy. Macron didn’t issue an apology, but he did call Italian Prime Minister Giuseppe Conte and insisted that he didn’t want to offend Italy. In addition, France’s European affairs minister stressed the need for dialogue and directed France’s criticism away from Italy. Instead, the minister blamed Europe for turning its back on Italy and insisted that Europe needed a much better way of dealing with migrants. This appeared to be enough for the Italian government: Conte pledged his solidarity with Europe in dealing with the issue and is scheduled to meet with Macron on June 15. On June 14, just when it seemed the worst had passed, German media reported that Merkel’s government might collapse. Tension between her Christian Democratic Union party and coalition partner the Christian Social Union, led by Seehofer, has been brewing over Merkel’s immigration policies since 2015. But German newspaper Augsburger Allgemeine, citing multiple CSU sources, reported that Seehofer raised the possibility during a party meeting of defying Merkel, which could split the governing coalition. German papers are now speculating about a potential vote of no confidence should the spat go on. 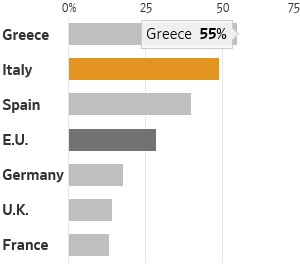 To recap, the three largest and most important countries in the European Union – Germany, Italy and France – are now divided, internally and externally. France continues to push for stronger EU reforms and is tired of waiting for Germany to sign up; in fact, France may now see that Germany is too weak to protest and that it must take the lead. 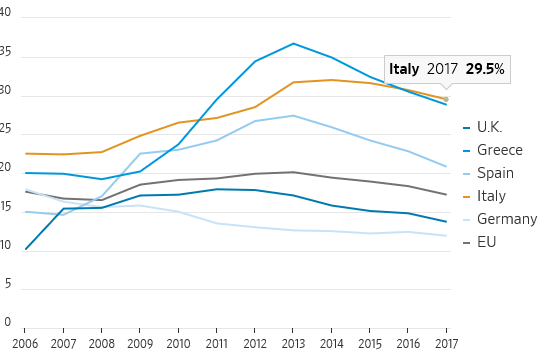 Italy’s new government is anxious to follow through on its campaign promises and is both cautious about and intrigued by the shift in power between Europe’s two heavyweights. Germany seems lost – at worst, it’s on the verge of a government collapse, and at best, it’s so inwardly focused that it can hardly play the leadership role it used to. And all this because the migration issue, now three years old, remains unresolved. A single ship with 630 refugees has laid the contradictions bare for all to see. This, of course, is not the only problem facing Europe today. The United Kingdom, which voted for Brexit in no small degree due to Germany’s lectures on London having to accept its fair share of refugees back in 2015, finds itself in chaos over its next steps. Germany’s foreign minister gave a rousing speech about a “post-Atlantic Europe” and seems more concerned with pushing back against perceived American slights at Germany than at coming to terms with the friction in his own government. The Balkans seems primed for even more disruption, with Russia this week announcing it wants to be more engaged in the region and the Serbian president saying he was warned that NATO would treat any Serbian incursion into Kosovo as a hostile act. But most important, and buried under the headlines, is the fact that the European Central Bank announced that it will phase out its bond-buying stimulus program by the end of the year – a program that has staunched the bleeding from the 2008 financial crisis but also exacerbated economic inequality throughout the eurozone. In both Europe and the United States, economies are finally returning to normal after a decade of being coddled by policymakers. Now, the training wheels are about to come off, and policymakers are betting that the economic recovery is stable enough to keep going on its own. That’s a dangerous bet, especially considering that the economic recoveries in Europe and the United States are fragile at best. The U.S. has rarely gone this long without a cyclical recession. But as the Aquarius has shown, Europe has plenty more problems to contend with, even if the optimists are right about the economy. Ironically, at the center of all this is France, the new de facto leader of Europe. Which brings to mind the old maxim: Be careful what you wish for. You just might get it. As a Dutch Bulgarian living in Luxembourg, I thought the 2018 World Cup would be a boring sports event. The three countries I identify with – the Netherlands, Bulgaria, and Luxembourg – played in the same group. So statistically I was hopeful that at least one of them would qualify. But somehow, not one made it to Moscow. From that group, only France and Sweden qualified. My only comfort is that the three are in the good company of Italy. I contemplated watching other sports events this summer, such as Wimbledon, where Bulgarian Grigor Dimitrov is one of the favorites, or the Women’s Hockey World Cup, which the Dutch might win again. But then, you can’t ignore half of humanity: the World Cup is by far the world’s most-watched sports event, viewed last time by more than 3.2 billion people. Then I found that watching the World Cup was also interesting from a financial point of view, because the same global shifts in capital markets and in macro-economics I am observing in my job are now becoming visible in how the sponsorship of this event is changing. 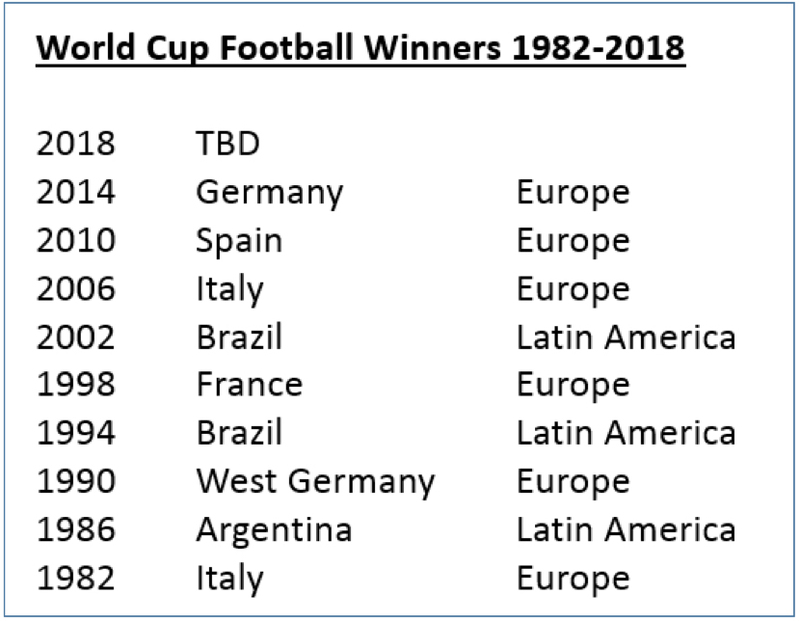 Since 1982, the World Cup was won by a European country six times (twice by Germany, twice by Italy, once by Spain and once by France), and by a Latin American country (twice by Brazil and once by Argentina) three times. 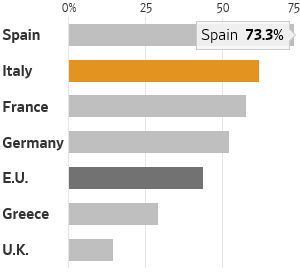 But in terms of the biggest sponsors, the geographic distribution looks quite different. In 1986, four European companies supported the event, as well as four from North America and four from Asia. 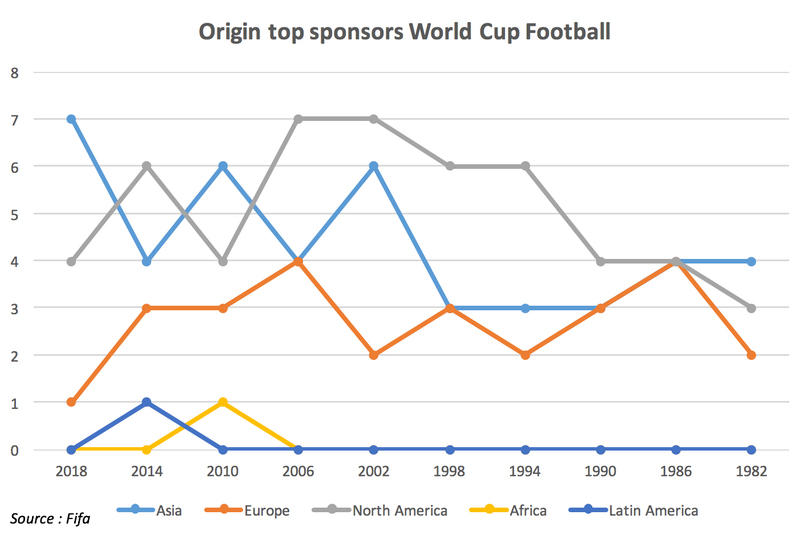 In the 1990s, there was a rapid increase in North American sponsorship, which then halted at the end of that decade. Even though European countries had been winning the tournament, European companies were backing away from the event. In 2018, only one sole European company was still pouring money into it. So who is the big new spender? Asia! In 2018, seven out of the 12 top partners and sponsors are from Asia, or almost 60% (See the following chart). If you belong to that one half of the world population watching the World Cup, you might already have seen this trend from the growing number of Chinese billboards around the pitch. A third of World Cup top partners are now from China, a record for the country. Before 2014, not a single Chinese company was a sponsor. Within the last two installments of the event, there are now as many Chinese top sponsors as there are American. It is also interesting to see that Chinese companies are replacing Japan as the top Asian sponsor. 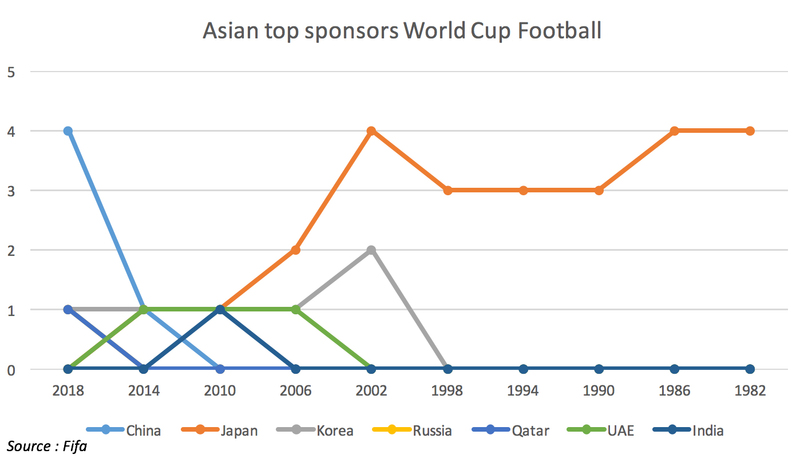 Until 2006, the Japanese represented the leading Asian brands at the World Cup. This time, they are completely absent. If you’re not a football fan, it might surprise you that China is so active even without its national team qualifying for the tournament. China played in the World Cup only once, in 2002. So could the World Cup sponsorship serve as a proxy of future global economic shifts? More than you might think. In previous op-eds (see links below), I have pointed to the fact that Asia is rapidly overtaking Europe and North America in relative economic power, a trend that will continue for the next decades. A prestigious World Cup sponsorship is a sign of Asia’s rising economic power. It puts a company eye-to-eye with some of the biggest industry giants – in front of an enormous and still growing audience. This year, 200 million more people will watch the World Cup than four years ago. For now, Asia’s presence at the World Cup reflects its economic power more than its football prowess. 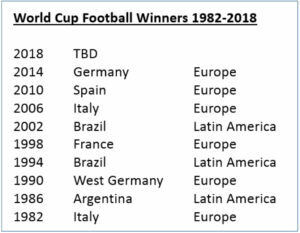 Judging by the first results, Europe is still pretty good at football. But that might change. Asians love the sport, too. 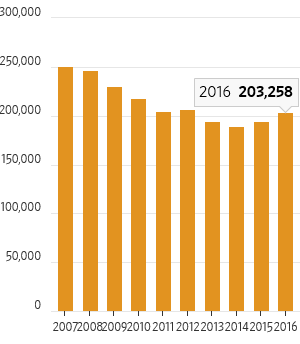 Most of the viewers of the World Cup 2014 were from Asia, and the number of fans is still growing. More than 1.5 billion people in Asia watched at least a minute of the World Cup in 2014, and more than 750 million watched more than 20 minutes. China has the most viewers: a quarter of a billion. With such a large audience, sponsoring the event by Chinese companies is a smart move. Even if the country has not qualified – yet. The President of China, Xi Jinping, is a big football fan. He has three dreams for China and the World Cup: participate, host and win. China is investing heavily in football schools and exchanges with European counterparts to help it excel at the game. The financial and economic foundations are already there; the infrastructure to get better football results is rapidly being built. With 1.3 billion people, there is a lot of talent to scout. I really hope that China will one day qualify. Of course, I also hope the same for my beloved Dutch, Bulgarian, and Luxembourg teams. And the economic shifts that are evident in the sponsorship of the game notwithstanding, I will concentrate on the tournament this summer. Why? Because it is simply the most beautiful game in the world. Even if you don’t take part. If you don’t believe me, just ask one of the 3.4 billion people watching the World Cup 2018 right now. - Added together and compared with total trade figures the tariff cost is marginal. - The trade war is more show than reality and designed to impress President Trump Rust Belt support base. - Trump woos his Rust Belt support base while selling them down the river. The purpose of this article is to show that the impact of tariffs compared with overall trade flows is very small, but the downside for President Trump could be disproportionately larger. Despite being very small, the trade war hogs headlines and makes President Trump look like he is making progress against foreigners who have "unfairly" stolen American manufacturing Jobs. Putting the Trade War in Perspective. 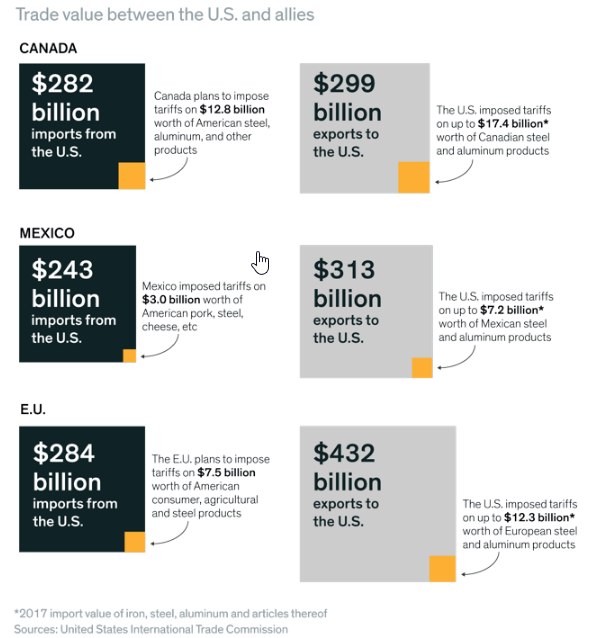 The chart below shows trade and tariffs between America's major trading partners. The above information, plus China, is shown in the table below in terms of imports and exports between each land and the USA. The above information provides some perspective on the matter. Except for China, the impact on US allies from the trade war is relatively minor at between one and five percent of total trade between the nations. The actions against Canada, Mexico, and the EU are more bluff and bluster than a real threat to overall trade and prosperity. Though, no doubt catastrophic for specific companies and sectors of the economy. At the macro level, the trade war impact on these countries is a pinprick. China is an exception in that the effect of the tariffs is potentially over 15% of total trade between the countries. Foreign countries have taken the strategy of targetting some of their tariffs on products that come from parts of the USA where midterm elections are to take place this year. The purpose of this strategy is to damage Republican election chances and to weaken President Trump. The prospect of a hung Congress and Senate is a good way of dissuading the President from pursuing his damaging trade war strategy in the first instance. If the strategy is successful and the Republican power base is diminished with no majority in either the Congress or Senate, then it makes further trade war action harder to enact in the future. President Trump is on record and repeats almost daily that the purpose of his trade war is to get a fairer deal for America from its trading partners. This is in view of the fact that America generally imports more than it exports and is running a current account deficit against the rest of the world as a result. The US current account balance is shown in the chart below. The numbers look large; however, when one compares the result as a percentage of GDP it again becomes a sideshow. The rest of the world is content to exchange real goods and services for American dollar credits that are generally saved at the Federal Reserve in the form of Treasury deposits. As a monetary currency sovereign, America can create as many dollar credits out of thin air as it likes in return for real goods and services. The political problem is that the Federal Government does not use its sovereign currency creation privilege to make good the current account deficit with new Federal spending on the domestic economy. The President's aim is to reduce the current account deficit and achieve a situation where trade with each country is more balanced. The purpose of this strategy is to garner and maintain support from the poor, white, middle-aged, working-class Rust Belt voters who put the President in office at the last election. To pander to this support base, the President now seeks to impose trade tariffs on foreign goods. This makes for big daily headlines, and the President is seen by his support base to be doing something for them. The President must think that the political support he gains from his actions is of greater value than the damage that the trade war causes in real terms. While the President's trade war may be popular with his Rust Belt support base, it is making their situation worse. The term “trade war” is used to describe a situation in which one country applies tariffs to imports from another country, and the other nation retaliates with tariffs of its own. There is a case for such irregularities to be ironed out. Make this the focus. All tariffs are a form of income tax on the consumer and should be eliminated. But, a “trade war” is different from a military war. In a military war, the enemy shoots at you, and you shoot at the enemy. In a trade war, the enemy shoots at you and at itself, while you shoot at the enemy and at yourself. With every nation shooting at other nations and at its own people, how do you “win” a trade war? You don’t. All trade wars are lost because the cost base is made higher. Each nation has higher internal nominal costs and receives less real benefits in the form of goods and services. The hypothetical purpose of a tariff is to protect local businesses from foreign competition. But a tariff hurts the entire economy. 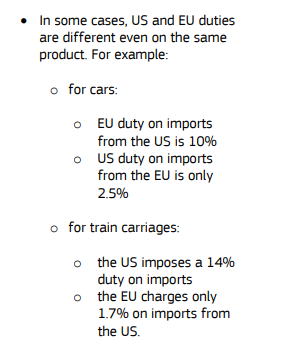 One example: Taxing imported cars would raise the price of all cars because domestic car manufacturers would feel less pressure to hold prices down. The entire American public pays more money so that the relatively fewer American car makers can receive more money. The philosophy of tariffs is for many to pay more so the few can receive more. Tax dollars are taken from the economy and sent to the federal government, which being Monetarily Sovereign, and not needing to receive dollars, destroys them. Reducing the money supply is economically recessive. To protect vital industries from extinction. Consider, for instance, steel. Steel is a vital defense product for tanks and battleships, and if there ever were a military war, the nation with a monopoly on steel manufacturing would have a distinct advantage. To protect domestic jobs. Every industry that is depleted by foreign competition loses jobs. Federal government purchases from domestic suppliers, even at higher than import prices. Direct federal cash subsidies to the selected companies. A Monetarily Sovereign government has the unlimited ability to create its sovereign currency. It can easily fund any sort of protectionism without tariffs, which has the added value of stimulating the economy instead of depressing the economy, as tariffs do. The table above shows that US consumers will pay an additional $86.9B when they purchase imported goods with a new tariff on them. This is $86.9B that cannot be spent on other goods and services and has increased the cost of existing goods and services and is therefore inflationary. $86.9B is almost 0.5% of GDP and might give the Federal Reserve cause to make a rate increase to stave off this inflationary effect. Then everyone pays more for credit as well. This is where President Trump will be shooting his support base, the rest of America, and himself in the foot. $86.9B worth of financial damage per annum. It will not take long for the poor, white, middle-aged, working-class Rust Belt voters to feel these additional costs, especially if the other nations are tailoring their reprisal tariffs to target this particular demographic.